Institutional investors such as pension plans, as long-term investors, seek to meet their investment objectives through a variety of investment methods, and the use of indices throughout this process extends beyond simply benchmarking the performance of the investment portfolio. 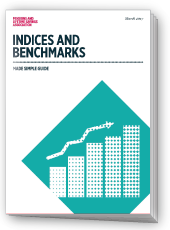 This guide provides trustees with an introduction to the various purposes indices serve and shares some of the important attributes one should consider when selecting an index. The guide is kindly sponsored by FTSE Russell. Hard copies are available to purchase in our shop.